The Community Safety Officer is Harry Williams (harry.williams@lewes.gov.uk ). There has been boost to the partnership’s resources with the East Sussex Fire Brigade providing an officer to support and coordinate the initiatives over a wider area. The group brings together resources from various organisations including the Police Commissioner, East Sussex County Council, the Fire Brigade and of course the Lewes District Council. Under the heading of road safety POLO had applied last year for funding in relation to consultancy services on the C7 road from the safety partnership. I think they were promised 50% funding of approximately £2000 budget. Separately, I believe that Kingston were interested in applying for funds for a schem in their village. At the meeting, we reviewed the funding situation for 2017/18. I can confirm that the police contribution will remain the same as last financial year at just under £22,000. The Lewes District Council contribution is likely to be just under £50,000. Currently there are still funds in this year’s allocation so if you have already applied you may stand a chance of being allocated funding before the next year starts. 1) any local group or organisation may apply for funds. However if they don’t have a form constitution or are not a parish council they may need to channel funds via an organisation which has a constitution. 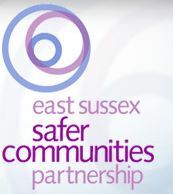 2) Quite separately to the Lewes area there is also a Sussex wide safety partnership which has separate funding. This covers both East and West Sussex. That scheme is separately organised.